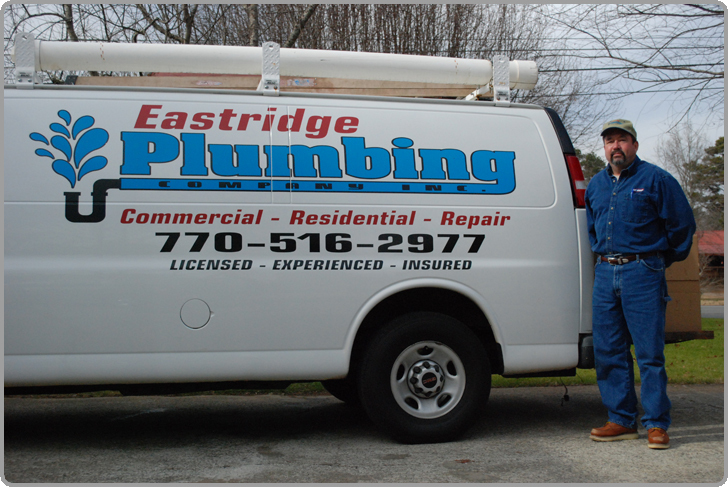 Eastridge Plumbing Co. is a family owned and operated plumbing company. We have been servicing Marietta and the Atlanta area for 40+ years with trustworthy and dependable service. 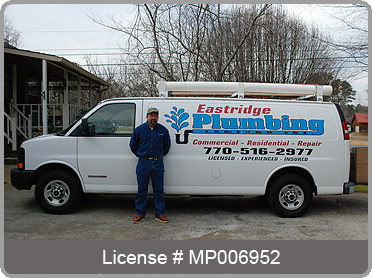 Eastridge Plumbing Co. is a fully licensed and insured company that provides you with the protection and piece of mind that the work will be done professionally and will be done right the first time. We have a consumer friendly standardized pricing guide so you know what the price is going to be before we do the work. Eastridge Plumbing Co. is more than equipped to respond quickly and professionally to any and all plumbing problems at your residential or commercial properties. As a quality professional plumbing company we understand how important it is to resolve problems that might interfere with your everyday life. We will quickly diagnose the health of your plumbing and fix the problems. Unlike most of the larger plumbing service companies in Georgia, we don't over-charge you or give you a large flat rate just because you are another number in their system. We take pride in the fact that we save money for each and every Eastridge Plumbing customer by giving them true accurate rates on products and services. At Eastridge Plumbing Co. we want you to be satisfied and 100% happy with our work and rates. We have excellent relationships with several major vendors throughout the Atlanta area and Eastridge Plumbing can design and build facilitites such as Medical Offices, Restauraunts and Retail tentant build outs. Amazing Deal On Water Heaters! Water heaters installed for as low as $1175.00 including removal of old water heater, installation of thermal expansion tank and water heater!